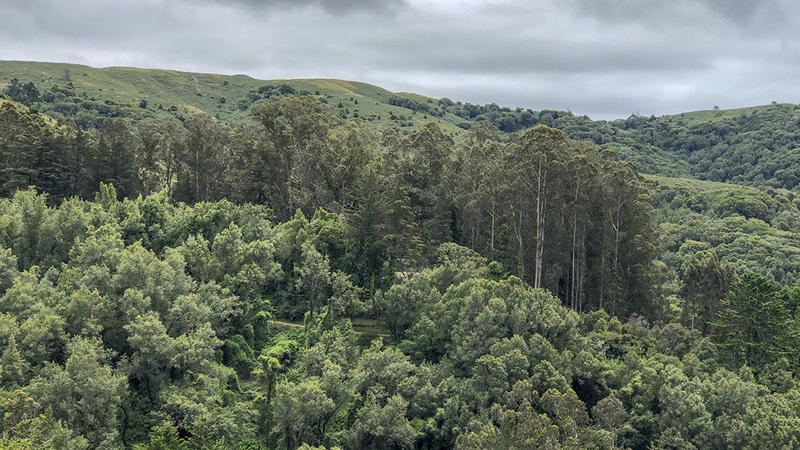 Located north of San Francisco in the hills of Marin County, this former ranch homestead was once the residence of lesbian writer Elsa Gidlow. In 1954 Gidlow was introduced to the site by her friend Roger Somers. 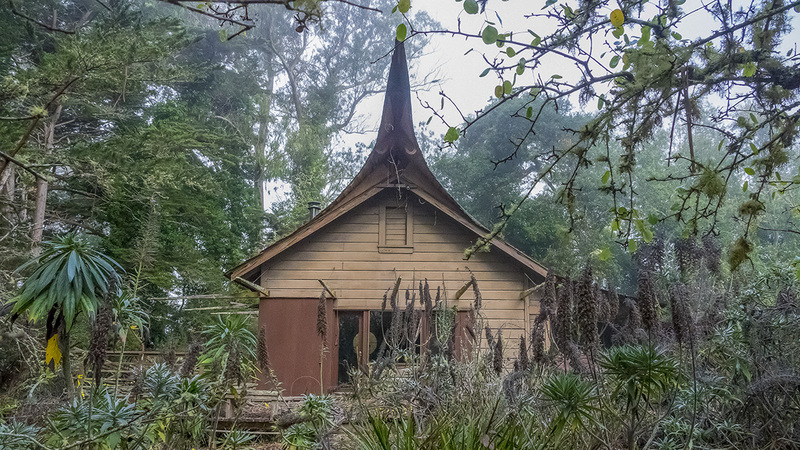 Seeking to create a community of free-spirits like herself, Gidlow purchased the property, and together she and Somers refashioned the ranch into a bohemian retreat. 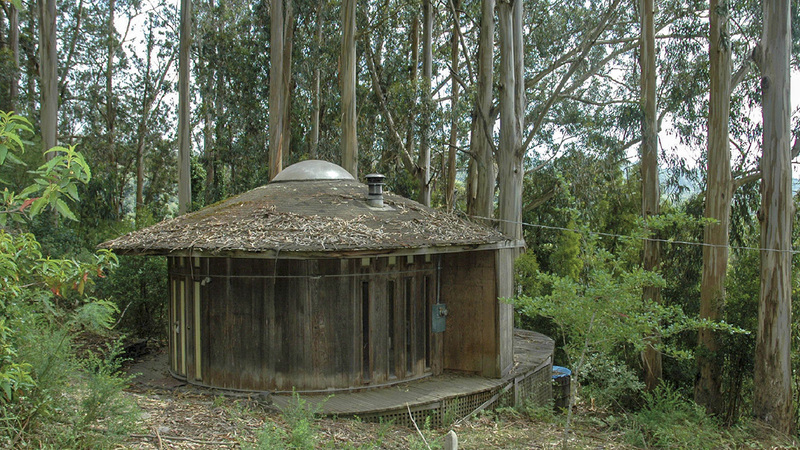 Somers used his experience as a carpenter to craft unique structures that intermingled with the naturalistic landscape and the existing architecture of the ranch. Gidlow improved the landscape by clearing brush, planting ornamentals, and building terraced garden beds. 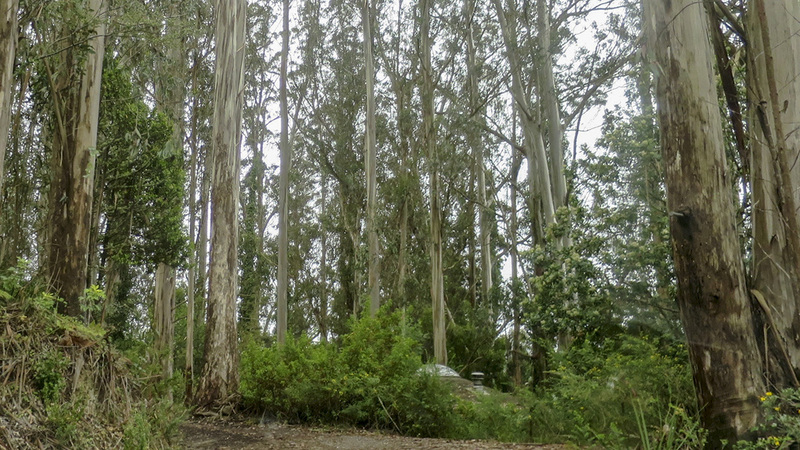 Druid heights, as it was named, attracted many artists, musicians, and writers, including musician Dizzy Gillespie, poet Gary Snyder, philosopher Alan Watts, and comedian Lily Tomlin. Gidlow would live at Druid Heights throughout the remainder of her life. 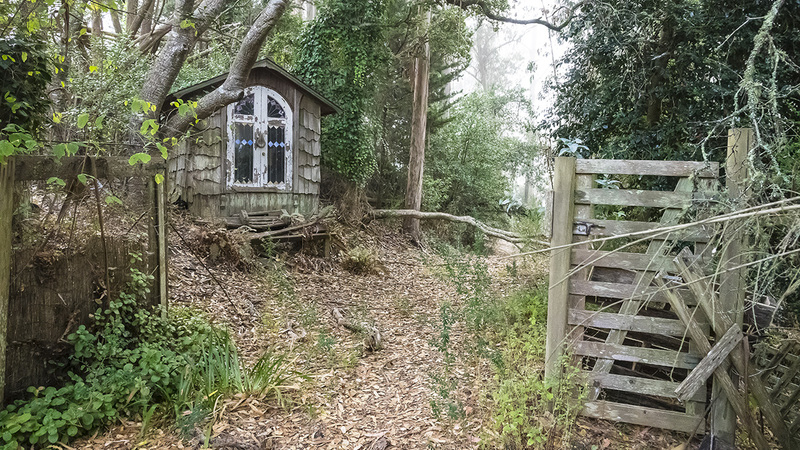 The five-acre property is accessed by a one-lane, unpaved road that winds through the Muir Woods for more than a mile. 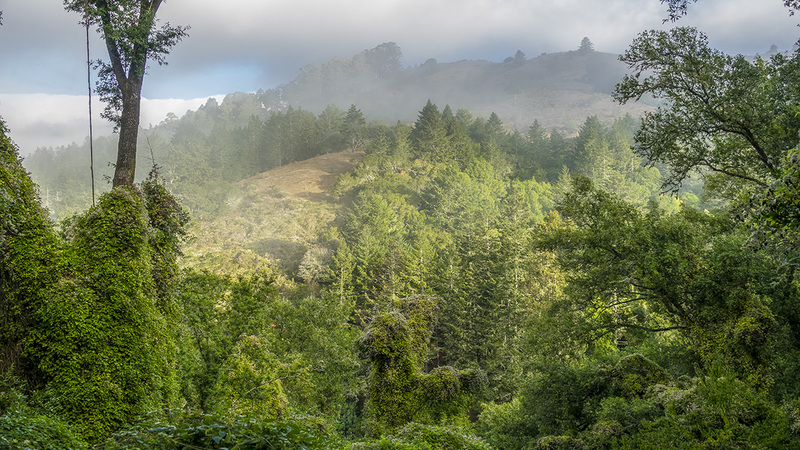 Grassland and groves of cedar, coast live oak, and bay laurel cover the ground that slopes down to the Redwood Creek to the south and west. 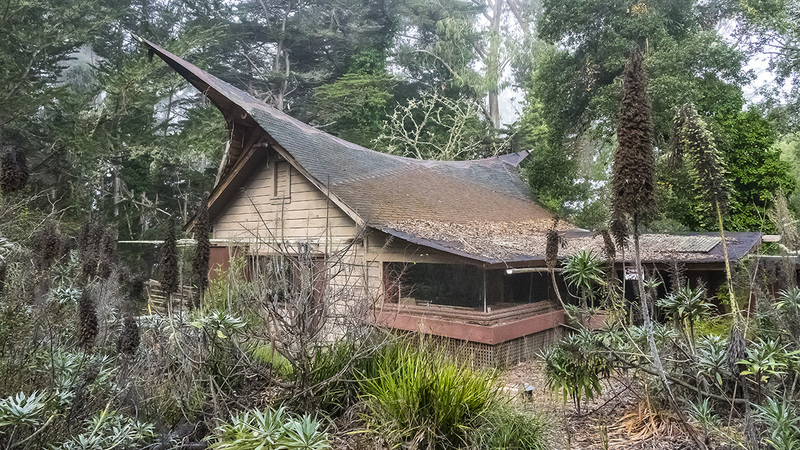 Notable features on the property include the “Twin Peaks” house, a 1920’s converted farmhouse featuring a Polynesian saddle-backed roof and Japanese-style rooms, the “Mandala House,” influenced by the later works of Frank Lloyd Wright, and the “Moon Temple,” a small meditation hut near Gidlow’s home. 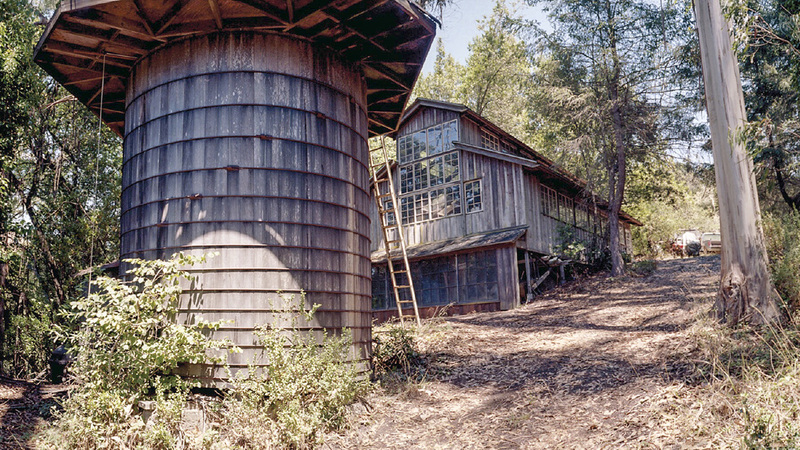 In 1977 the National Park Service purchased the Druid Heights property. A study and determination of Druid Heights’ eligibility for the National Register of Historic Places were nearly completed in 2011, but the 146-page draft document was subsequently set aside.